Grevilleas. 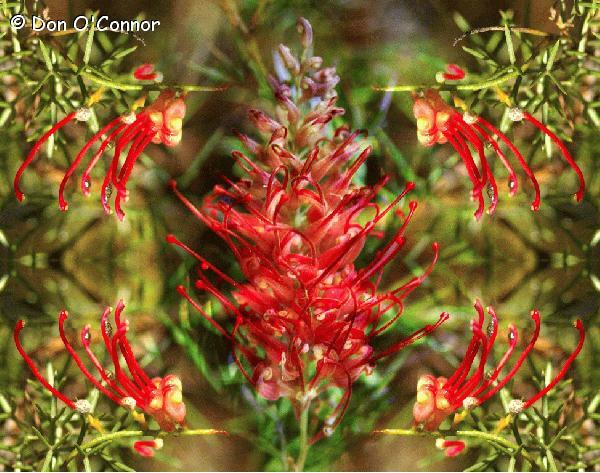 Created from shots of two different grevilleas. One was placed in the centre of the image, the other was copied 4 times, rotated and placed as layers in each corner under the main image, which was then erased as necessary to bring out the corner images. I just kept playing with the images until I had an image I liked.